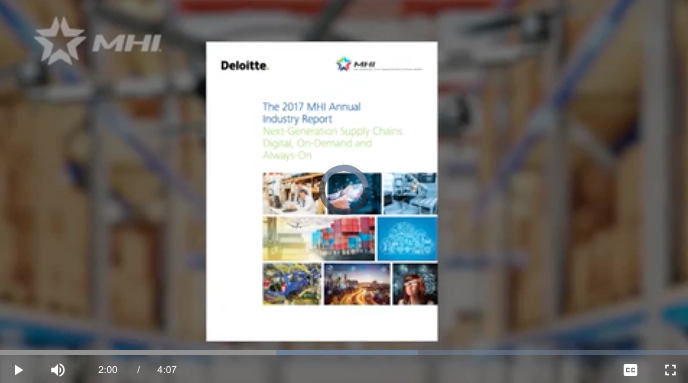 MHI is embarking on a series of video updates on topics covered in the 2017 MHI Annual Industry Report. View episode one, Next-Generation Supply Chains. The pace of change towards digital supply chains is accelerating. 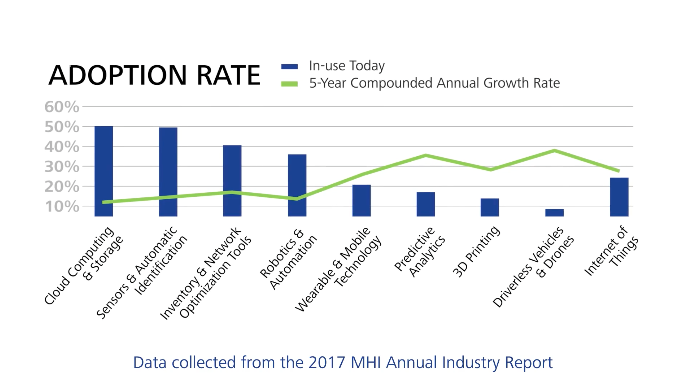 According to the 2017 MHI Annual Industry Report, 80% of manufacturing and supply chain professionals surveyed believed the digital supply chain will be the predominant model within five years. Of this segment, 16% said its the predominant model right now. As markets demand more efficiency and agility from supply chains, next-generation models are combining automation and digital technologies to drive performance. These technologies and processes are accelerating the pace of change as firms strive to keep pace with customer demands. According to the report, adoption rates are accelerating more than expected and are becoming more mainstream. Episode One: Next-Generation Supply Chains is the first in a series of four videos on the Annual Industry Report reflecting the views of 1,100 manufacturing and supply chain leaders. Topics covered focus on projections from leading firms and real-world case studies of the benefits these trends and technologies are having on supply chains and global commerce. Subscribe now to be alerted when future episodes are released.